C. Edward Sellner is the Chief Creative Officer for Visionary Comics, having launched the studio in 2006. Having embraced the digital publishing revolution several years ago, Visionary is currently one of the largest digital publishing houses in the comics industry. We sat down with Mr. Sellner to talk about comics in general and the Deadlands license in particular. Why did Visionary choose to license Deadlands? Because it was there. Oh no, wait that’s why you climb Mt. Everest right? But seriously, it did kind of fall in our laps. 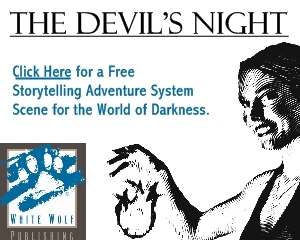 I had never played the game, but it was one of those cool things I had remembered hearing about waaaaaayyy back and always thought the concept was cool. I also always remembered that classic Deadlands image by Brom, the undead gunslinger? So, it was one of those “Things to Check Out”. 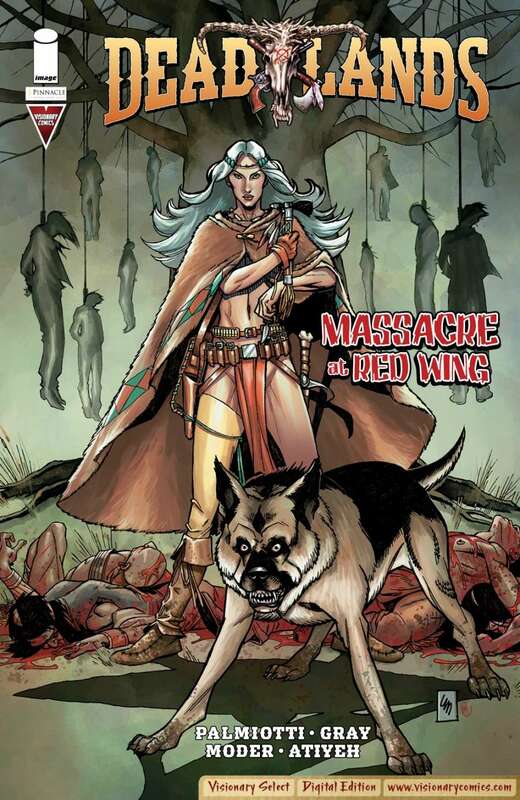 Then a friend of mine, and client, Nate Meyer, mentioned he was in general talks with Pinnacle about licensing Deadlands to write novels and might we be interested in doing comics? Well, Brom, undead gunfighters and cool all collided in my head and I said Absolutely! After talking with Shane and realizing what an amazing talent and creative guy he is, as well as the most laid back license owner ever, it was a no-brainer. He was wanting to prime the pump to expand the property, the mixed Western (horror, supernatural, steampunk) genres were showing signs of being an up and coming thing again, and a quality license we could do things with just made it seem a win all around. Does the comics market feel strong or weak right now? Do sales reflect that feeling? Oh my, this is an interview right, not a book? Okay, short answers. The comic market is a fickle beast. It has its ups and downs and its ever-twisting maze of factors. The market overall is doing well, its been growing steadily over the last twelve months, both single issue and book market sales, print and digital. We’ve even had some serious spike months where sales were 20% over where they had been the previous year. But a lot of this reflects the big, event-driven publishing of the big boys, and the growing presence of strong creator owned content from names who are garnering the kind of attention to build steady sales, like Walking Dead, which broke all kinds of sales records this year. So, despite these rising figures overall, a lot of books still struggle to find their market. Deadlands, honestly has been one of those. Sales were solid, and we were happy, but being honest, we had hoped for more. We tried very hard to make it appeal to both the existing fan base and push it out to new fans. 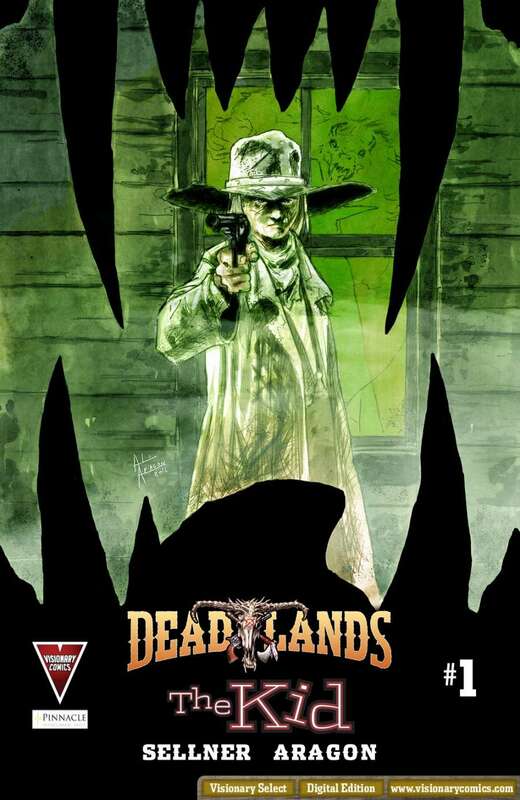 But I think a lot of existing Deadlands fans who aren’t big comic fans just didn’t know how to make sure they got copies of the books. We’ve heard many say they missed issues. And I think the comic market was leery of how well a license would do when they weren’t themselves familiar with it. But again, initial print sales were a decent showing, and we are finding our market. Digital sales continue to be strong, more and more folks are buying the trade at conventions, and interest in the next series is at an all time high. So, people like what we’re doing and as word spreads we’re increasing our reach, and that means we have all the pieces for a long term success for this. So, we’re very happy. What percentage of Visionary’s sales are in digital comics compared with print editions? Good question. 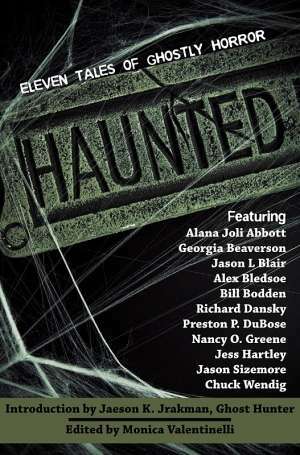 I know within the first month we released the books on our digital venues we very quickly hit a 10% of total sales mark. They sold very strong. The great thing is they’ve continued to sell strong on specific venues where Deadlands fans go, especially Drive-Thru, and that percentage is climbing, where the print issues are out of circulation, and we’re down to our last copies. What we still don’t have is how well the collected trade will do in the book market since we haven’t released it yet. We will, but we want to do it right, and make sure it gets to the fans who want it. So we’re looking at options. We also have interest in an International version from publishers who handle Deadlands the game in the French and broader European market. So, the numbers will continue to grow and change. A series like Deadlands, in print, will do better in the book market than the direct market, so, we need to make sure we do the best for it. Has Visionary seen growth in sales to game stores because of the Deadlands titles? Truth be told, that was a challenge. We love Image, but they are a comics company, first last and right down the middle. Some of the alternative venues we thought important to explore just never happened. I don’t think the books were specifically targeted at gaming stores. We want to fix that moving forward, and have even offered to direct distribute to game shops who want to carry our trade editions, if they are interested. We do know that orders were strong in shops that do both well, games and comics. If the relationship was there because of comics, and they sold games as well, those stores ordered pretty heavy, and seemed happy with the results. For the next round we need to make sure we hit those other game stores better as they can be our ideal outlets. 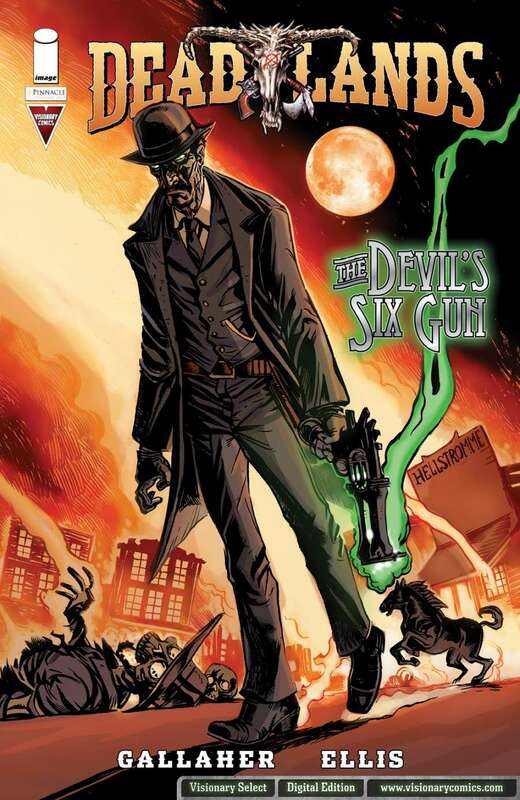 You recently concluded a successful Kickstarter campaign to fund production of the first Deadlands graphic novel. Why did Visionary choose to use Kickstarter instead of a more traditional funding approach? Well, funding is a key thing. Visionary is still a small little operation and we have limited resources. We knew we wanted to do a great book, up our game and push the envelope with this series. We wanted a great artist, we wanted top quality production etc. But funding all that was a challenge. So, this enabled us to tap the fans who want it and let them get on board earlier. The other big thing is Kickstarters are phenomenal ways of gauging the market and seeing what the demand is for a project. Do people really want more of this, and despite solid sales, we weren’t 100% sure there was enough demand to do more, but now we know, there is, in spades. And a final piece which ties into the above is that a Kickstarter is a great way to get publicity out, market a project while still in development, and build a fan community that is mutually invested in the book. Its great when we create a project, put it out there and someone buys it and likes it. But here? I’ve met a ton of awesome people through this Kickstarter, all fans of Deadlands. They’ve been able to put money out and not just get a book, but interact with us creators, get teasers of what’s coming, be part of the process. Heck a number will BE IN THE STORY. People love that opportunity, and we as creators love having a fan section actively rooting for us, it makes it a great time. What can you tell us about this graphic novel? How soon will it be available for purchase? I can tell you we are VERY psyched about it. The graphic novel is the definitive story of Raven, the architect of the Reckoning, the man who doomed the world. We’re thrilled that Pinnacle has authorized this story. Its rare a license comic gets to tell the definitive story, the canon story of a major player in the property licensed. Pinnacle is also letting us really build up and add to the legend and that’s awesome. Raven is shaping up to be the epic it deserves to be. He’s one of the best villains ever created in my mind, great back-story, great character. And yet, while he is this amazing character, there is so much we don’t know, so much that all we have is a quick paragraph about in the game books, that is this epic story begging to be told. It’s really a lot like digging into real legends and myths and trying to figure out all the pieces in between. Matthew Cutter, Greg LaRocque and myself have met a few times to work out plot and all I can tell you is I think each of us gets more and more excited about the story as we go, there are moments we just look at each other and quietly go ‘wow’. So, if the creators are there, the fans will be sure to love it, it means they are getting our best work. As for release, supporters will be seeing the book coming out before the end of the year, as digital issues, with the collected edition in March or so next year. We will then start rolling the series out digitally in late Spring, Summer of 2013 to the general public and a print trade in the market by Fall. What other Visionary titles should readers know about? After the first of the year we’re in talks for some awesome new titles, upping our game again. We’ve got books we think are really high profile, with great creators that will grab people’s attention, and the launch of our own in-house projects, and a whole new universe. So, good stuff is coming!